All of the below information comes directly from job reviews written by Lendlease employees based on 65 reviews. Lendlease was founded 60 years ago on the firm belief that a successful company must operate profitably, sustainably and ethically. Today, we work closely with clients, investors and communities in Europe, Australia, Asia, and the Americas to create unique places – places that leave a positive legacy and inspire and enrich the lives of people around the world. We do this through putting safety first and delivering innovative and efficient solutions which provide long-term sustainable outcomes for a range of stakeholders. We are a publicly listed company on the Australian Securities Exchange. 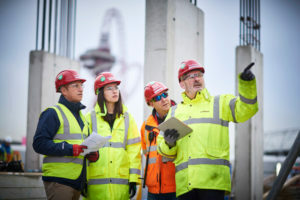 Around 12,000 employees and more than 50,000 sub-contractors support the delivery of our active projects and managed assets around the world, which at any given time can total over 700. With opportunities nationally, our programme spans two years, includes rotations and provides opportunities across one of four of our business areas including Construction, Development, Consulting and Finance. Working on a variety of projects with different people, drivers, complexities, challenges, geographies and responsibilities helps develop well rounded and highly skilled individuals. 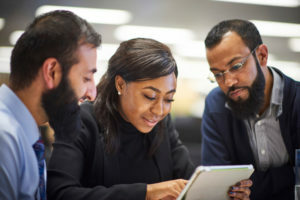 Our four unique programme streams are developed in line with our vision and business strategy and are tailored to enhance your skills and support you for future roles and opportunities with Lendlease. You will be supported through a structured learning and development programme, various on the job activities, networking and social activities. During the two-year programme, you will build lasting networks with both senior leaders and fellow graduates. We will provide support throughout your career as we can offer a range of opportunities unique to our integrated business model, without losing the focus on you as a person. On completion of our programme we are proud to say some of our best graduates have been successful in securing sought-after international opportunities across our global projects in places like New York, Sydney and Singapore. Learning so much so quick. Supportive team, what you put in is what you get out, working with inspiring people. High salary, well looked after and good career development as a graduate and possibility to work abroad. Given a lot of responsibility to run with things and manage different project budgets. The ability to make decisions and take the lead in various meetings and projects. 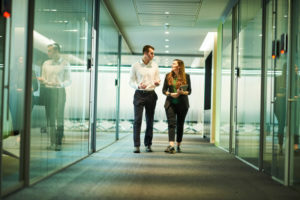 The culture around the office is perfect for new graduates, there is a large and growing graduate network but in finance, there is also a great and very welcoming, diverse team which makes you want to come to work each day. Great exposure to lots of different parts of the business. - Health and well being. - Was a good starting salary for a graduate scheme in comparison to similar companies. - There is more structure in place now on account of our feedback from being on the graduate scheme. - Opportunity to get involed with a variety of different projects, large scale urban regeneration through to new business opportunities. - Exposure to a plethora of really knowledgeable people at all stages of the development lifecycle, including construction. You are given responsibility for certain tasks and the amount and complexity of these tasks increases with the more experience and skills you build over time. Lendlease are always pushing your personal and professional development more and more. My role is a perfect balance and the industry is constantly evolving. No two days are the same which makes it challenging, interesting and fun. - You develop a wide-range of skills and capabilities in various areas, many of which would allow you to be successful in other industries. 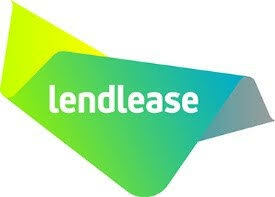 - Lendlease offer a very good benefits package. - You are constantly interacting with different companies and people. - I am given a lot of responsibility early on and given time to take things in and learn from mistakes. The culture of Lendlease and the support available. Health and wellbeing is central to the way we carry out our work and the lessons I have learnt in this respect have been invaluable not only in my professional life but also my personal. Versatile, great people, massive and interesting projects, good amount of training and development. People, I really like everyone I work with, and I learn a lot from them. Everyone is generous with their time and there's a great team spirit. Work/life balance, my boss criticizes me when I am staying late frequently, and takes a real interest in my life outside work. You can work flexibly from home and the company cares about your well-being. The support, I am being supported in my professional qualifications, if I am struggling with something people care personally and will help out. I'm working on various projects which all differ completely. Opportunities for graduates to take on responsibilities. My job requires me to travel a lot which make every day new, challenging and interesting. Ability to meet new people, see old and new development projects across UK, learn about how company is changing our living towards better future is amazing for my interpersonal development. It inspires me to learn and develop myself as to be a perfect asset for this company. 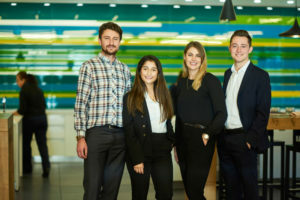 Lendlease is a very sociable company and has various opportunities to get involved and meet people within your department and the wider business though events such as the 3 weekly drinks and snacks in the canteen, organised runs, and graduate conference. I think this is really great way of feeling part of a team and having fun at the same time. People are generally friendly and helpful. Exposure to high stakeholders in the business. The people and the ability to introduce new processes into the business. Get exposure to different teams and new learning experiences frequently. The diversity in people and projects that you are involved in. Working on amazing projects with amazing people in a friendly and relaxed environment where everyone wants to help you learn and succeed. Stay relaxed and stay calm, confidence is key. Read up on the projects that Lendlease consulting work on. Be able to highlight the skills which will make you a good Project Manager. Look at what we do and the core values we work to when carrying out any role company-wide. Let your passion show through your application. Specifically demonstrate how you can add value to Lendlease. Demonstrate the importance of placemaking and having a positive impact. Good CV & cover letter. Make sure to understand what Lendlease's vision & values are and demonstrate an understanding of the role. Understand the difference between all the graduate streams at Lendlease to see where you fit best. Do some research on the company and tailor your answers to what you have learned. Make sure you know why you want to work for Lendlease as this will be asked. Draw on examples from prior work experience to demonstrate your skills. Interview is very relaxed and the questions are standard. Why you want to work for Lendlease, why finance and what skills you bring to the role. Understand what Lendlease is about and what drives the company. Read up about the core values of Lendlease, and the portfolio of work to familiarize yourself with the standard of work Lendlease produces. Be yourself! Relate Lendlease's core values to your own experiences. Actually take time to complete research on the company before and during the application process. As you need a cover letter, ensure you tailor it to the role and the company, it shows you have a desire to work here. Be yourself, don't panic or overcomplicate any of the questions. The majority are asking for examples of times where you've demonstrated particular skills, have a think about soft and technical skills and come up with a few examples in your head so you are prepared, the examples don't have to be in the work environment so think about hobbies and interests where you may have demonstrated the skills. Research company values and strategy. Answer questions with examples from work experience. Use your research about the company in the group exercise. Typical interview questions, very conversational, answer using examples from work experience. Have a clear idea of what you want to do, achieve and improve when applying. There is not as structured training at agencies; you need to forge your own path. To be resilient to what is thrown at you - and be able to think on your feet to solve a whole host of problem scenarios. Be thorough when filling out the application form. Read what is required of you carefully. Try to be as well rounded as you can and include all different experiences and skills from lots of different sources. Identify and describe as many skills as you can from what you have learnt at university. Just completely be yourself in all aspects of the interview process. When answering questions in the face to face interview give yourself time to think. You can do this by repeating back the question they have asked as part of your answer before you actually give the answer to the question. When answering the questions make sure that you include weaknesses and how you are solving them. Construction is about progression and constant learning. Your weaknesses are just as important as your strengths. Be yourself, I noticed through my time on graduate interviews that people use a façade and hide how they truly are. Trust me if you are yourself you will enjoy your work more and it won't feel like a job. Don't lie. Coming from a Business Studies degree background, I was the only non-cognate applicant in my assessment centre (with seven other people). Throughout the application/assessment centre process, rather than making up experience to put me on a level playing field, I sold myself on being able to offer different insights and perspective, which certainly played a key role in securing my job offer. Ask relevant/challenging questions. It's easy to ask questions like 'What's the company culture like?' and 'What are the typical working hours? ', but these are generic questions that apply to all companies. Instead, do your research and ask questions that apply to the business. For example, if you're applying for a job at a small, local SME, don't ask about international opportunities. Also, ask questions that challenge the business and show that you're making a conscious decision. For example, ask about the company's weaknesses and what the business is doing to rectify them. Was offered undergraduate by Lendlease following my first year at university. I was invited to attend a 6-week summer placement, following which, Lendlease would decide whether it'd be appropriate to offer me sponsorship. Show your strengths, even though they may not be directly applicable to a specific role, Lendlease are looking for enthusiasm and talent from a diverse range of people. Enthusiasm was what I focused on and how I see my own work ethic in the values Lendlease work to. Be yourself, ask any questions you have and speak to current employees. Do a bit of research into the Construction industry and what the company does globally. Express yourself and why you feel you will fit with the company. Just be yourself, if it's right - it's right. Be honest about who you are. Demonstrate what makes you different, but understand that those responsible for hiring you are looking for that vote of confidence that you've worked hard in the past, you're keen to learn and you'll fully embrace the company's culture. They asked us to work as a team and brainstorm ways in which we see Lendlease being affected by technology such as driverless vehicles, and what Lendlease should/could do to react. I advise you don't nominate yourself as time-keeper, it's important that you verbally note how much time the team has, how long you'll spend on each part, but you're role in the assessment centre isn't to look at a clock. Also before your team hastily moves on to another part of the task, if no-one has taken the opportunity to, encourage your team to pause and check that everyone has said what they wanted to say. It shows confidence and the ability to bring others into the conversation. In the interview part of the hiring process, just be calm, shake everyone's hands and be honest. Don't force an answer you don't believe in, take the time to think and reflect. Generally though, show interest in understanding more about the company than your role necessarily needs. I applied for a marketing role and asked questions about the leasing team, the finance team and the construction team. Show your enthusiasm for the company to your interviewer. Ensure you do your research and prepare! Ability to multitask and work with people from different backgrounds. Show your passion about the healthy environment that you want to live in and that you care about the legacy and the future. Research the company's values and make sure that you include them in your application as Lendlease will look for this when finding applicants. When in an assessment day make sure you show you do not focus too much on yourself and show you can work in a team. They will value leadership skills but will not look favourable on people who try to dominate the room. Make sure there are no basic mistakes. They don't really care if you come from a construction or built environment background. You just have to show that your willing to learn and able to process information. They like additional qualifications/experience outside the under graduate degree. Show that you are really excited about working for the company. Know how to answer competency questions. Be yourself - try to relax and show your personality without trying too hard to impress. List your key skills and achievements underneath your roles. Prepare examples of how you have shown certain competencies, such as leadership, teamwork etc, throughout university, internships, jobs etc. Be friendly! Show you would fit in well with the companies culture and employees as well as being able to do the role. - Think outside the box. Do not be put off if you have limited construction or real estate experience, because Lendlease are looking for people that fit their ethos and culture and can be given responsibility immediately. The technical skills can always be learnt at a later date. Be yourself and show interest in the role by doing your homework on the company. Clearly illustrate your qualities through specific examples in the STAR format and then communicate how these skills will allow you to add value to Lendlease. Make the application interesting don't be generic. Communicate your interest in the company in a genuine and interesting way. Be yourself. Prepare for competency based questions and be confident and genuine in your answers. Make sure you're passionate about the company and role you are applying for. Be yourself and show all you can do. Be yourself and when asked about your biggest challenges, always end with what you learnt. Be very open minded and be prepared to travel. Conduct research in the company goals and mind sets. Be prepared to conduct team activities as part of an application. Be willing to be flexible in location of working area. Understand what Lendlease are about. Think positive, think of the interview as a conversation with a senior manager rather than someone quizzing you. The interviewer wants to know if you're right for the team so it's best to be as relaxed as possible. 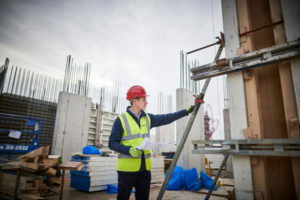 This is a very unique scheme where you can gain a wider perspective of Real Estate Development from the initial stages through to construction. The company have a vast array of work and pipeline for you to be able to experience every aspect of the process first hand. 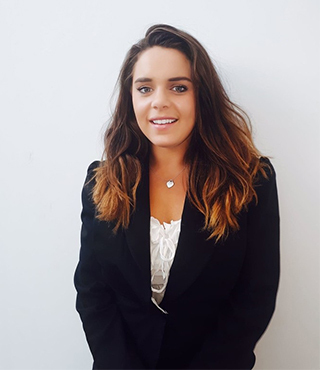 The managers and employees are very down to earth and willing to invest their time into building your career with Lendlease which is incredibly refreshing. There is a great graduate community ranging across all sectors from consultancy, construction and development which makes it a lot more interesting and diverse. Let your personality and passion shine through. Just be yourself! Be prepared to be thrown in at the deep end. Make sure you get a set development plan in place and push for it otherwise you will get pigeon holed. Be yourself and make sure you know what Lendlease are and what they do. Learn and gain as much experience as you can and network with different people. Drive your career and try to gain experience in different roles, departments and regions. Understand Lendlease culture, vision and core values. Learn about the projects that Lendlease has done in the past and is currently doing. Demonstrate that you are motivated and willing to learn and work with a team. Be willing to travel a lot. You will get great opportunities however, you will need to drive yourself, don't expect to be supported or handheld through the graduate program. Focus on Lendlease's core values and in particular our culture of sustainability which differentiates us from the competition. Research the company's website and focus on values, sustainability and current regeneration projects. It is key to remember that Lendlease takes Health & Safety very seriously. It is committed to operating incident and injury free wherever it has presence. That is why the business even pulled away from countries like Russia, where the regulations were not in line with our standards and minimum requirements. Lendlease provides a supportive workplace where employee wellbeing is a top priority. This is highlighted by the holiday allowance and benefits package. There are a huge variety of areas/ work streams you can get involved in. If you communicate what you want/where you want to go, Senior Mgmt will help you to get there. - Safety is truly the number one priority. - Cares about your personal development. - Training and chartership opportunities. You are given lots of responsibility and are encourage to own your career and development. Managers are invested in your development and will help guide your career. There is a working culture is fairly relaxed with lots of flexible working arrangements. Finance graduate scheme is still young so there are still details being figured out as the first graduates go through the process. - We actually live our values with governance procedures and checks in place to ensure we hit our sustainability, H&S, wellbeing and placemaking goals. - Opportunity to work internationally (global company). - Opportunity to work on some interesting urban regeneration projects. - Can sometimes get lost in the corporate system / project teams. - Would benefit from more people managers to monitor progress and performance considering your pay is determined by your performance and whether you meet your goals. You can work from home if you need or wish too. 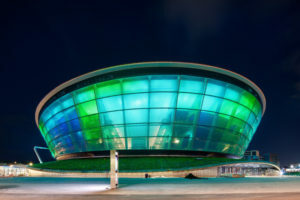 There are lots of interesting and fun external work events to attend. There are clubs you can join like the Guvnors club or horizon. Both of these clubs put on lots of events outside of work to attend. You work for an amazing company that has built amazing things but there is no brand recognition what so ever with Lendlease. When you mention Lendlease to anybody, no one has ever heard of them. The range of different things that Lendlease does as a company is very hard to understand and isn't always explained in the best way to understand what Lendlease does from start to finish. You only get one study day per exam you take for ACA. You are not given any more time off to prepare and study for your exams. Benefit packages, flexibility, complexity of work. Working hours when seeing a project to end. Great people, good pay, interesting work/projects, versatile - I've been on 3 projects in 2 offices already. Pay rise every six months! Clarity on how to develop and progress, mid year review wasn't very constructive. They genuinely care about the individual. They are forward thinking and not afraid to be different. They push important issues and lead the industry with a really passionate and inspiring approach. Management cares and follows the company ethos - it filters down to everyone. People don't know who Lendlease are! The challenge and encouragement to better myself. The workload can become overwhelming sometimes. One of the best things at Lendlease is the importance they put on health and wellbeing. It is evident that the company the company cares about it's employees and makes it a priority. An example of this is we are required to take a full day mental health course/induction which I think is very impostant for a company. 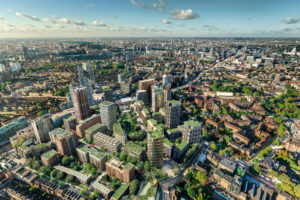 Although a great company, due to the nature of being a large property company in London the company receives bad press at times on some of our projects. Some projects are considered contraversal and are very unpopular in some communities in London and being an employee and embassader you are then associated with this. Its take wellbeing seriously. The CEO makes a visible effort to speak to different people. Pretty good salary (when you include the benefits for the grads). The Leadership sometimes make decisions which seems like they have not consulted their subordinates. They care about your wellbeing. Great culture and colleagues who are always welling to help with your progression, comfortable working environment, there are always new opportunities available. Get to be apart of really interesting projects. The development opportunities for career progression and technical learning. Often colleagues are spread across sites and offices and therefore digital communication is pivotal. I prefer face-to-face contact. The work environment is fun and flexible while still providing real challenges. The people I work with are amazing at their jobs and are always happy to help you and train you. I work on significant central London regeneration scale projects and am given total exposure to meetings etc.